Shaped cut and stretchable fabric eliminates excess fabric for improved freedom of movement. ClimaCool provides heat and moisture management through ventilation. Worn by Chelsea. One-hundred years young and dominating the FA Premier League. 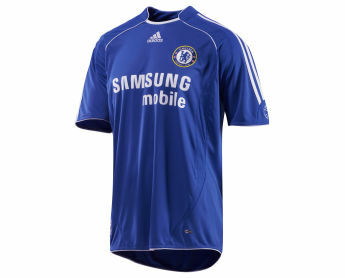 This official Chelsea home jersey features a stretchable, shaped fit with ClimaCool? technology that beats the heat and moisture to keep you playing hard and bleeding blue.